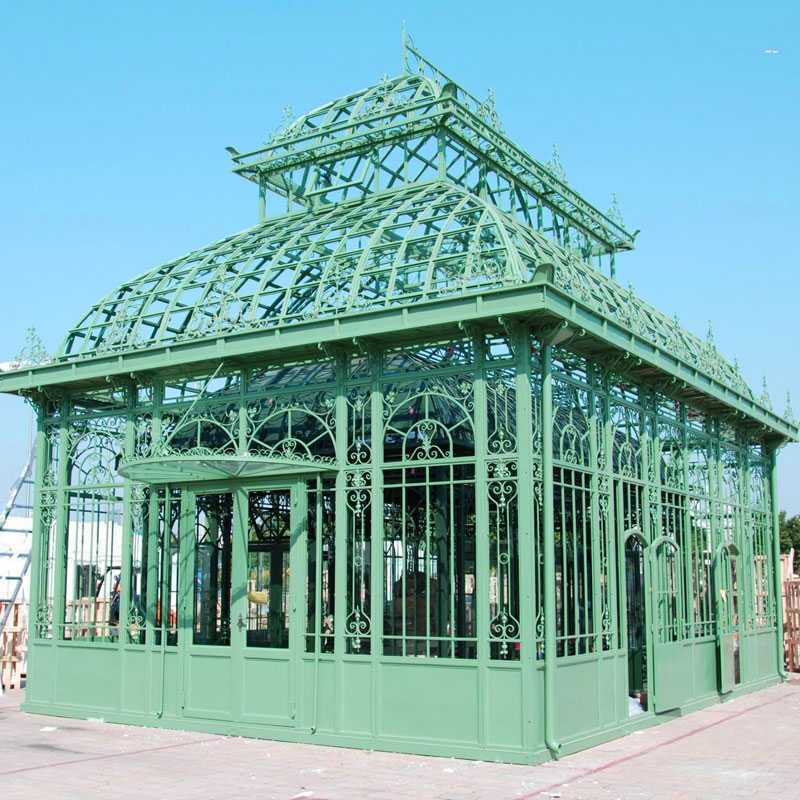 Any requirement about Large Outdoor Garden Wrought Iron Gazebo ,or other wrought iron products,please contact with us right now ! Size: L: 275” W: 197” Or Customized Size. 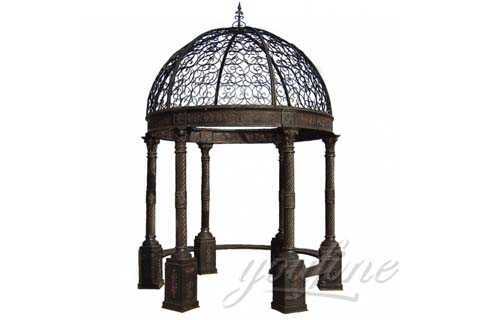 Large Outdoor Garden Wrought Iron Gazebo is used mostly for outside garden, square, or hotel. 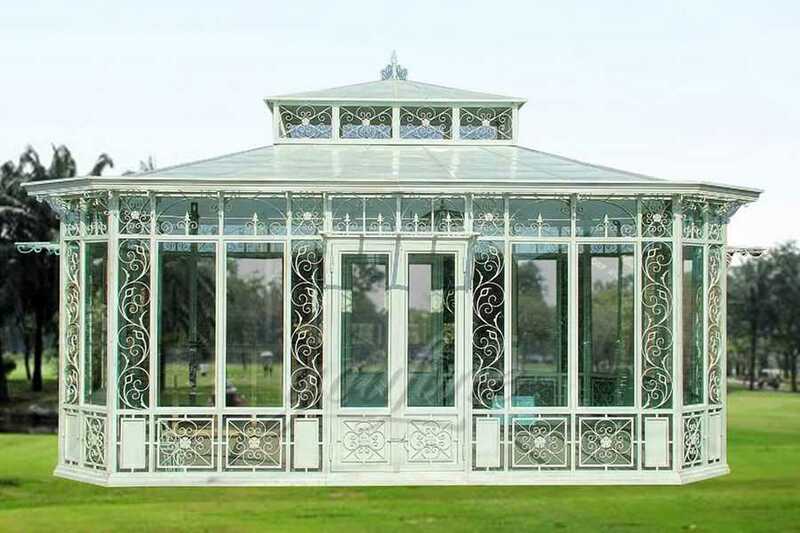 The wrought iron gazebo is large, it could seat many people. And the gate has the flower design. the shape is special, and the color also could be painted according to your request. 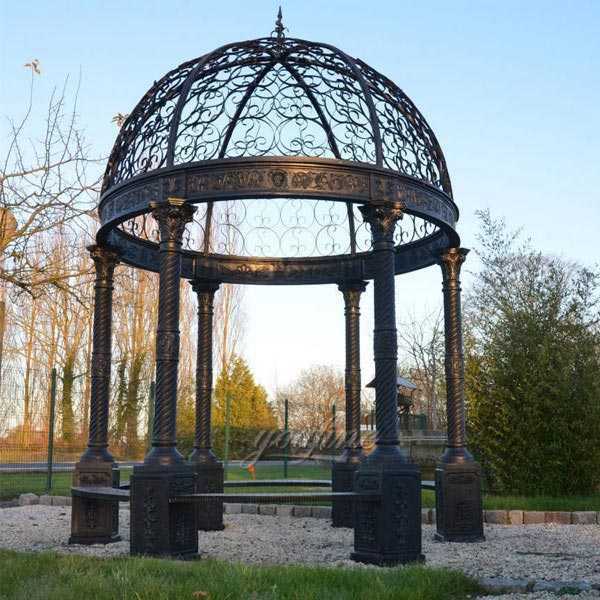 Whichever method you adopt, you still have to decide on your design, and there is such a vast assortment of gazebo designs to choose from that the decision can be very difficult. 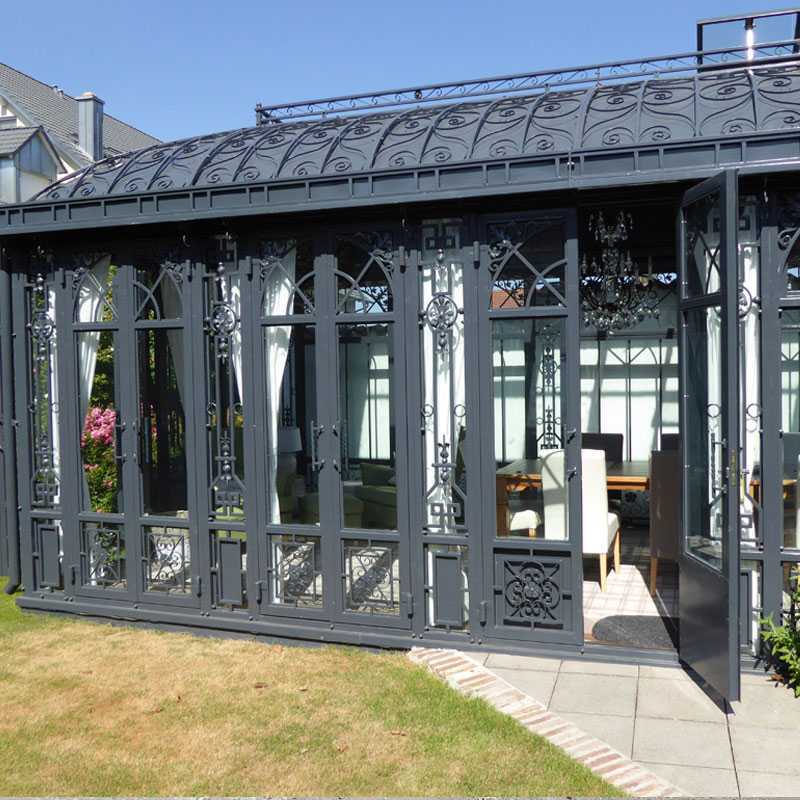 However, the most important consideration to bear in mind is that the style of your gazebo should fit in with the style of your house, garage and other permanent structures. 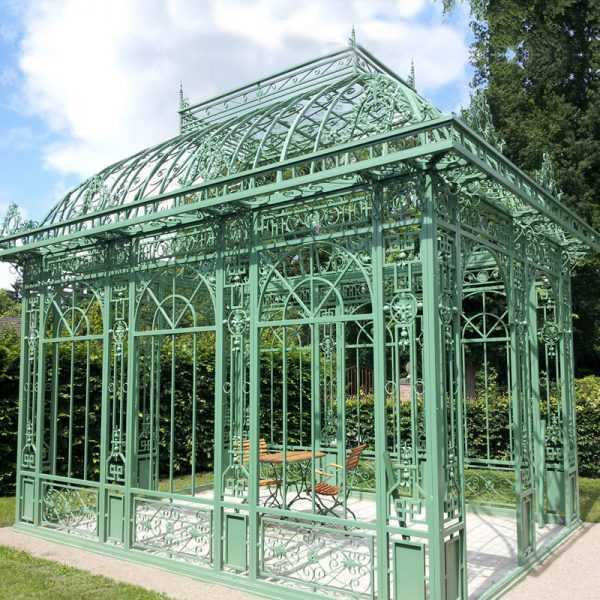 Rather than having a free-standing Large Outdoor Garden Wrought Iron Gazebo at the end of the garden, you may prefer to install a patio gazebo, which is designed to sit on your patio, or be fixed to the floor. If you are building a new patio, you can incorporate a patio gazebo into the design. Otherwise, you can modify your existing patio to accommodate one. By sea (Special for life size wrought iron gate and large wrought iron gate, can save lots of cost). All of our wrought iron gate has our 30-years quality guarantee, which means, if you find any unusual problem with your purchased sculpture, you can quickly approach You Fine for the necessary solution for free. In severe cases, money will be given back in less than 7days.